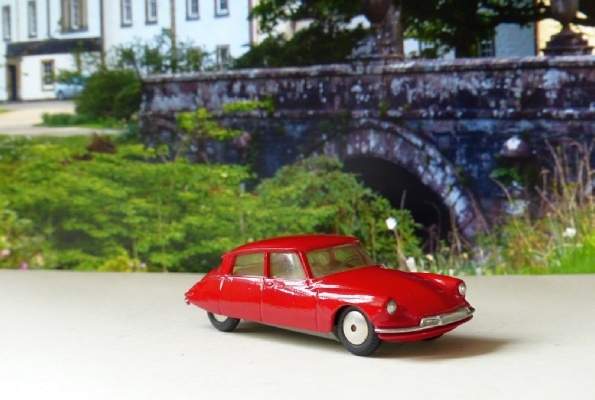 An early suspension model as the Citroen got upgraded and also a new colour. It still has the fixed flat wheels but also gets an interior in lemon plastic. This model looks lovely but there are signs of repainting. I can’t be sure - and the base has not been removed - but it all looks a bit too fresh and the silver paint too perfect. Normally the silver spray misses something or covers something it shouldn’t! The windows are clear and clean and the wheels and tyres good too. Because of my doubts about the paintwork, I cannot ask much for this so it may be an opportunity to get a very attractive display item cheaply.